You are here: Home / Everything else / Friday Favorites – Are We Happy Yet, Dr. Axe Leaky Gut and More! Friday Favorites – Are We Happy Yet, Dr. Axe Leaky Gut and More! How are you guys? How was your week? I hope that you are feeling great and even better now that it is officially the weekend! I hope this weekend is a blessing to you, gives you renewed hope, strength and happiness. Sometimes we just need a little time to restore. Take some time for YOU to restore this weekend! I frequently use a space heater in the winter, and often times during the other seasons too. We keep them in all the bathrooms in the house. They maintain the bathroom temperature to a cozy and warm state while taking a bath or before getting ready in the morning. 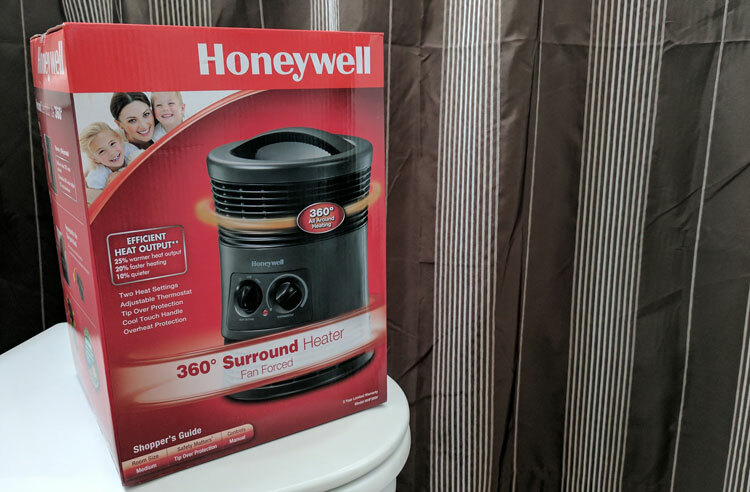 But never have I had a “space heater extraordinaire” like the Honeywell 360° Surround Heater. This heater heats the whole room! It is so efficient! While heaters can often be hazards, this one has extra safety protections like: tip over protection, overheat protection and caution lights to alert the heater is turned on. This is a nice heater for warming up the whole room without turning on the entire house heat. I bought the Dr. Axe Leaky Gut program hoping it would give me the guidance to feel better. I was dealing with nausea, lightheaded, dizziness, and on and on. 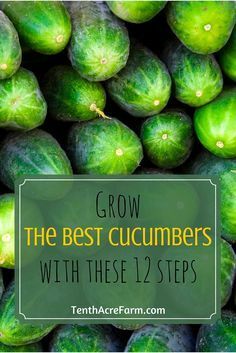 The program is a 4-week process with daily emails, videos, recipes, tips and more. The best part about the program is the helpful Facebook group you become a part of. It is filled with people who are going through a lot of the same issues. It is so nice to have these supporters. 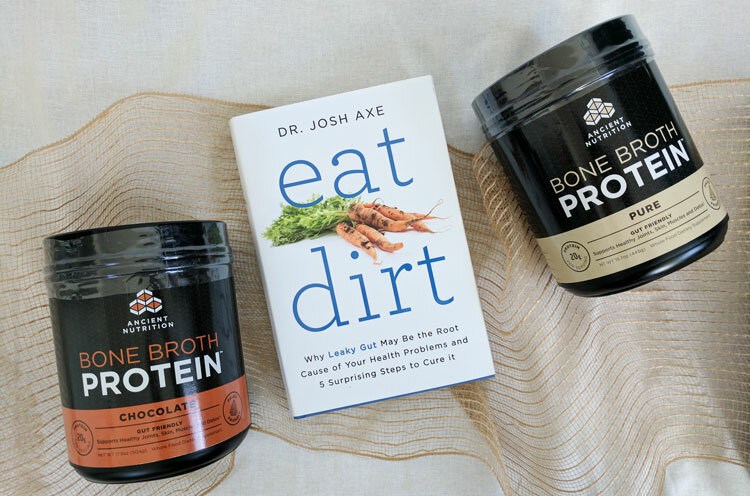 In the program, Dr. Axe recommends many of his supplements and encourages you to read his book Eat Dirt – Why Leaky Gut May Be the Root Cause of Your Health Problems and 5 Surprising Steps to Cure It. I found that the Bone Broth Protein is a great addition to my diet. Bone broth has been helping me heal and making me feel way better. I make my own (he has a recipe included in the program) and then I also supplement with the Ancient Nutrition Bone Broth Protein. If you are interested in healing a leaky gut, check out the Dr. Axe Program! 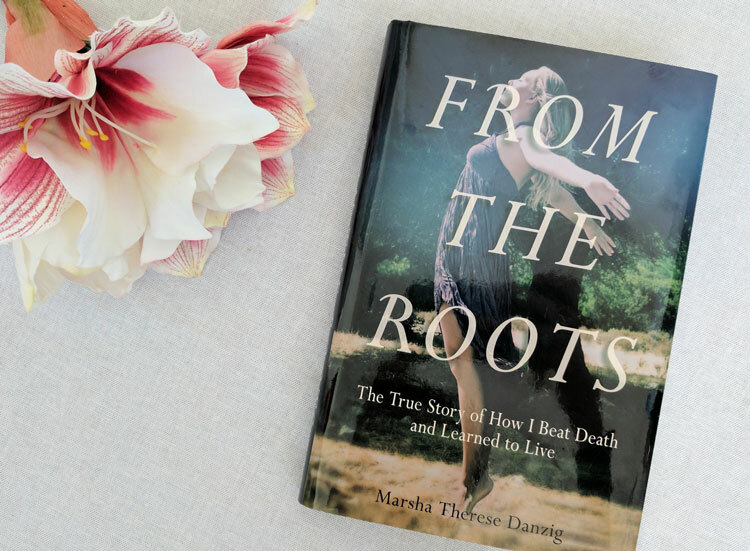 The new book by Marsha Therese Danzig, From The Roots – The True Story of How I Beat Death and Learned to Live, is a very interesting read. Marsha has gone through tremendous things (bone cancer twice, congestive heart failure, kidney transplant, below the knee amputee, and other many other ailments) yet she leads a productive and positive life. Marsha is an amazing example to us all. To go through so much and to maintain a happy outlook, makes my life simple struggles look pathetic. She doesn’t dwell on her sicknesses or ailments, but seeks the bigger picture, fighting for her spirit. If you need an inspiring, incredible, real-life read – I suggest this true story! My husband has been using the same razor for a long, long time. Finally, he has actually noticed and asked me to get him a new razor (Yay! I didn’t need to say it first!) I thought I might give Dollar Shave Club a try because it is a great deal when you get your first subscription ($1 razor, say what!). The Dollar Shave Club takes the hassle of trudging to the store for overpriced razor blades. They come directly to you in the mail! It is not complicated! Plus, everyone likes a new razor blade when shaving! 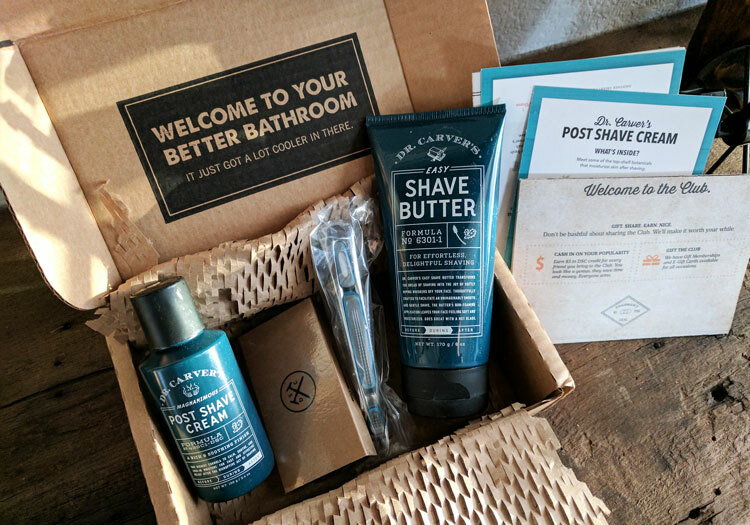 We got out first Dollar Shave Club box and we think it is just dandy! 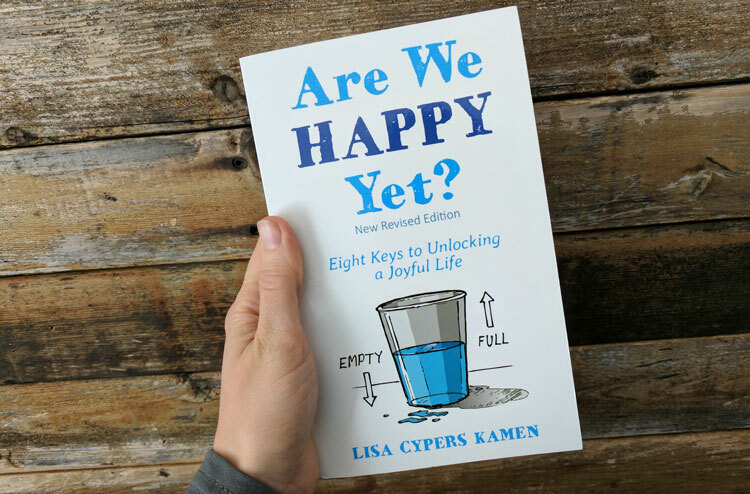 Are We Happy Yet, Eight Keys to Unlocking a Joyful Life has been a book that has made me see a little clearer. I am not sure why, but over the years I have become less happy, more fearful, less positive. It is not who I want to be! Of course, on the outside my friends say I am the nicest person they know… but on the inside I just hear constant negative thoughts. I picked up this book and quickly took the “Defining Your H-Factor” test. The following chapters work through how to find joy, how to trust, how to invest in yourself and more. “It’s not enough to just think happy thoughts” says the author. It’s much more than that. I found so much motivation in this guidebook. I love that it made me feel normal, showed me that others struggle too (many stories and examples), and gave me lots of insight to improve! If you want to better you mind, body and soul by improving your happiness – this is a great book! 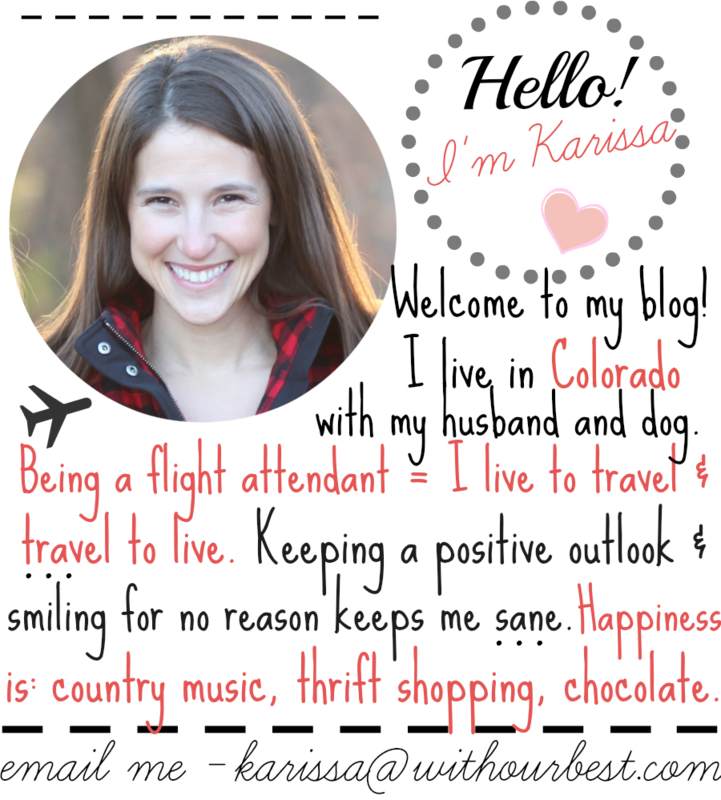 As a flight attendant, I am always asked about what to do with stuffed up sinuses and ears. I’ve got a few tricks up my sleeve and a couple products I trust. 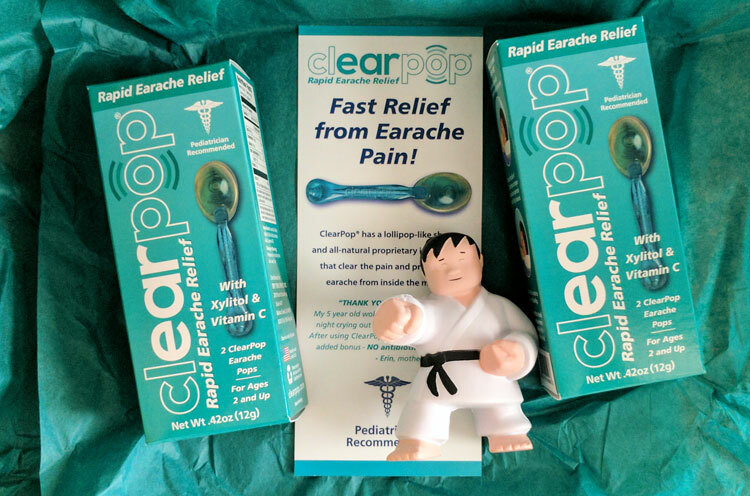 A new option that just caught my attention is the Clear Pop Rapid Earache Relief. This product is unlike many other solutions for painful earaches. It targets the source of the pain and releases pressure in kid’s ears because of the biomechanical design and the blend of unique ingredients. Disclosure: I often receive products in exchange for review. I need to get the surround heater for my daughter’s robotics team. The lab the meet in is drafty and gets so cold. Wow, so many great products in one post. I am in need of a new space heater, my office is quite cold and we are about to have a foot of snow! Thank you for sharing this great review, I am going to buy one on Amazon. They need to make a heater like that for my bed lol. I stay cold. From The Roots looks like a good read. I’m so happy it’s finally Friday!! This week was possibly the slowest week of my life. I want to read some more motivational/self-help books, those are always my favourites! Have a good weekend! Epsom salts and heat – you sound just like me as they’re two of my favorite things. That 360 degree heater looks like something I might pick up. We have one of Honeywell’s heaters in our bathroom. We do not have heat in that area of the house so in the winter we would freeze without it. Now just to get a fan appliance as nice for the summer because then we sweat. My daughter loves taking Epsom Salts baths when she is home from college. That honeywells heater is looks like what I need to pick. It would be perfect to my bedroom. These are great products!! I haven’t heard of many of them!! The Honeywells heaters looks fabulous! I also like the Are We Happy Yet book! I keep kicking around trying DSC, everyone seems pretty happy with it. Can never go wrong with a good shave. These all sounds like great products!! I will definitely have to check out those books!! My husband keeps a heater in his office. He uses it when he is cold. We no longer have to crank up the heat in the rest of the house. I need some of the Ear pop. A few weeks ago, I had a ton of fluid in my ear. I had to go to the dr for sinus infection and then strep. I could feel my eardrum bulging too. These are some great products! The surround heater seems like a real lifesaver during the cold months! I haven’t heard of any of these products. So great to learn about them. I would love to grab me a copy of the book, From the Roots. Sounds like a must-read! Thanks for sharing that and all these products. Our of my family of four I am the one that is always cold. The one that requires more heat than everyone else. This space heater is a winner for me. I need to check out all of your recommendations. That book sounds like something I would really enjoy reading.